Mark Cohen practices bankruptcy law in Forest Hills, New York. The firm consistently met its new client goals until recently, when the number of bankruptcy filings nationally started to slide. 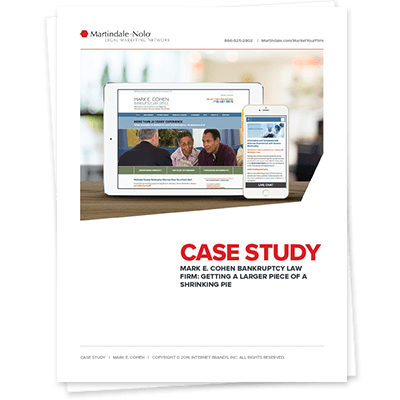 Learn how, when faced with a shrinking customer base, Mark continued to grow his firm.